Sunn - Circadian Lighting for Philips Hue by Zunn Labs, Inc.
Sunn is an app to help you get a better night's sleep. 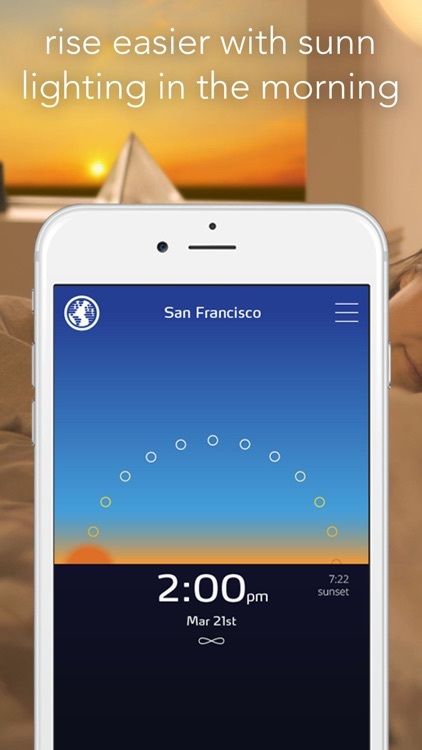 The Sunn app helps improve sleep at night and alertness during the day by keeping your body clock / circadian rhythm, in sync with nature. 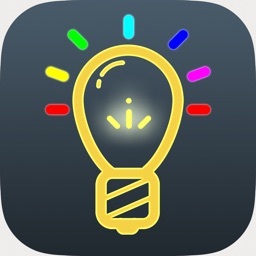 It does this by adjusting the color and brightness of indoor lights. 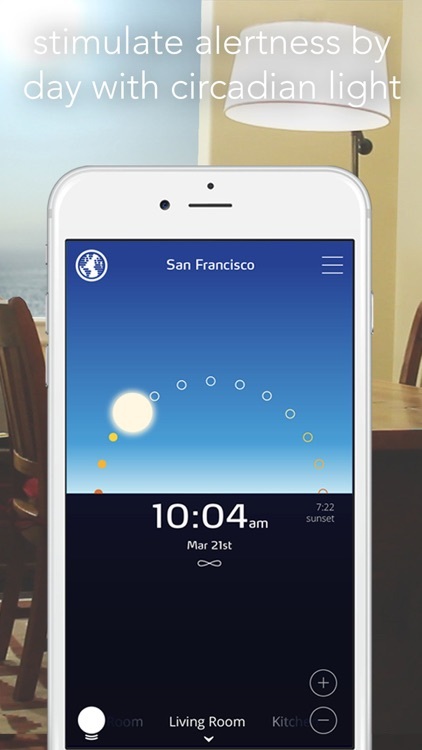 The Sunn app automatically adjusts your lights to match your location, time of year and time of day to provide the right light at the right time. THIS IS NOT A BLUE LIGHT FILTER APP. 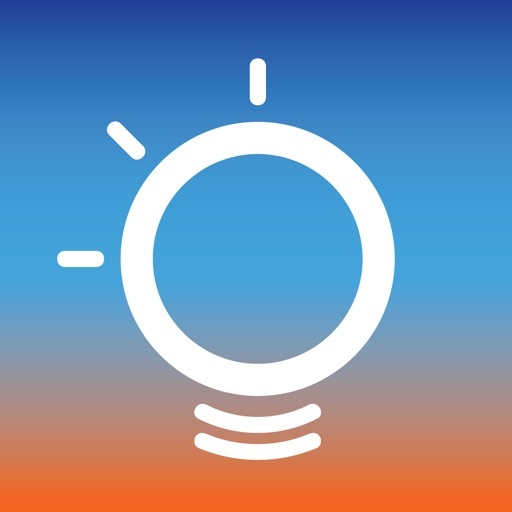 The Sunn app is designed for Philips Hue and Apple HomeKit smart lights. 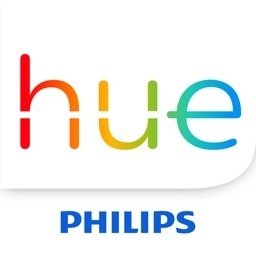 It adjusts the color or brightness of these lights. 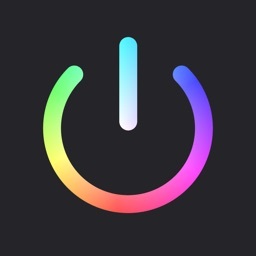 It does not adjust the color and brightness of your iPhone or iPad screen. Automatically sync your indoor lights with the sun to promote circadian alignment and help regulate a balanced sleep-wake cycle. Have a unique schedule? Adjust your lights to any time of day based on your own personal wellness needs. Trying to reduce jet lag? 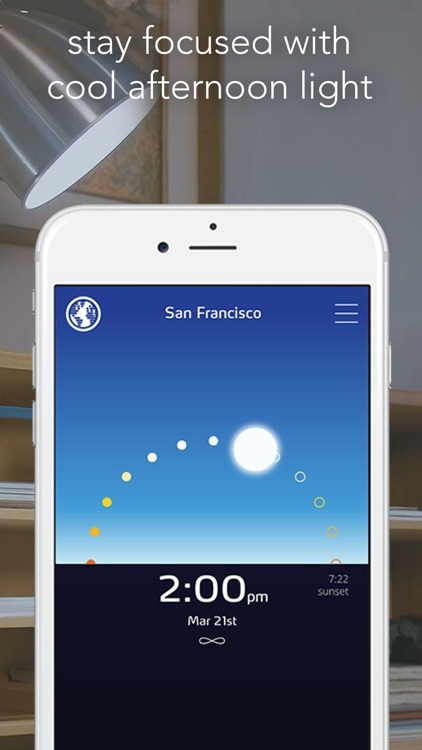 Change your lights to match the light cycle for any location in the world. Tired of the winter blues? Adjust your lights to your favorite time of year. Gently shake your phone to provide just the right amount of light to guide your way without disturbing others, preserve your night vision, and make it easier for you to fall back asleep. 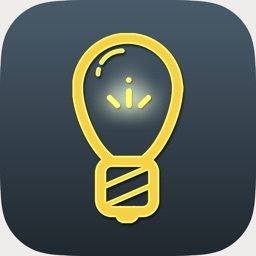 Seamlessly organize and customize all of your favorite smart lights into groups. Use an intuitive carousel to quickly control any group from the main screen. Precisely control the brightness of any light from 1 to 100%. 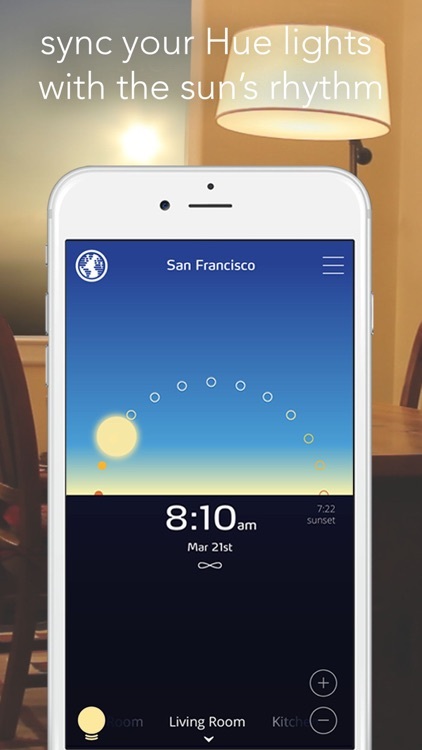 In the morning, Sunn makes your lights rise with the sun, gradually brightening and changing color to foster wakefulness and assist your body’s natural suppression of melatonin. During the day, your lights track the sun and slowly become cooler to promote alertness. As the day winds down, your lights become warmer and bring the setting sun indoors. 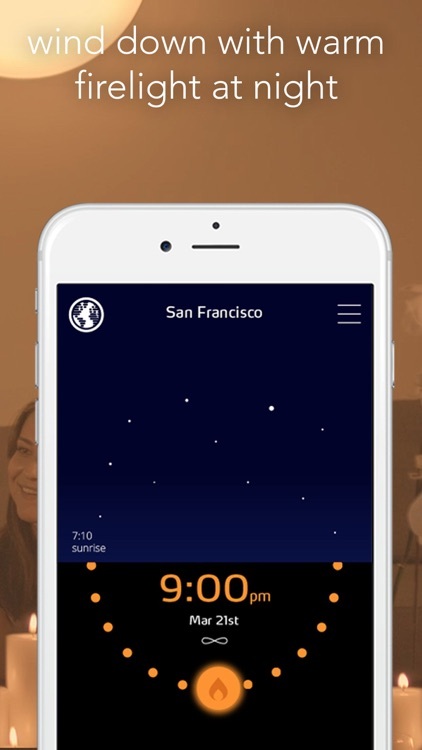 At night, the Sunn app slowly adjusts your lights to emanate the calming glow of firelight, a biological indicator that prepares you for rest and promotes your body's nighttime production of melatonin.